Muzak, Inc. — Originators of "Elevator Music"
The Pacific Northwest is renowned for being the geographical base of hard-rocking music scenes that have produced musicians ranging from the garage-punk pioneers the Sonics to acid-rock hero Jimi Hendrix to grunge gods like Nirvana. It seems ironic, then, that Seattle has for decades also been the global production center of what the industry initially called "background music" and later, "functional music," "business music," and finally "foreground music." In essence, foreground music is scientifically designed and programmed mood-controlling music -- often of the purposefully bland, supposedly soothing, easy-listening variety -- which purportedly has positive influences on worker productivity and consumer spending. Typically heard as telephone "on-hold" music and in shopping malls, airports, and dentist waiting rooms, such music eventually provoked a mild cultural backlash, with detractors disparaging it as bloodless, mind-numbing "elevator music." Nevertheless, Seattle became the home of four distinct, yet partially intertwined, corporations that successfully supplied countless clients with carefully curated music selections: Yesco Foreground Music, Audio Environments Inc. (AEI), Environmental Music Service Inc. (EMS), and a company whose very name became the generic slang term for its own product -- Muzak. In 1922 Squier patented his invention and quickly licensed it to a giant utilities firm, the North American Company. The company also supported Squier&apos;s other enterprise, Wired Radio, Inc., which soon began tests and finally, in 1934, brought its service to market under an entirely new corporate brand. It was Squier who -- in a move reminiscent of how the Victrola phonograph company was named to capitalize on the ultra-successful Coca Cola brand name -- combined the word music with the camera/film company&apos;s Kodak, and came up with "Muzak." Initially, Muzak was marketed to residential customers in Cleveland, Ohio, who could (for $1.50 per month) subscribe to audio entertainment -- both musical and news headlines -- available on three separate channels. 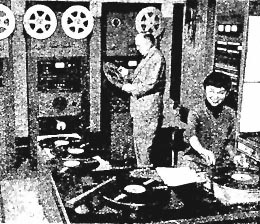 It was also in 1934 that Muzak began hiring musical ensembles to cut fresh and exclusiverecordings that only its clients could enjoy. The first was a medley of three pop tunes performed by the Sam Lanin Orchestra: "Whispering," "Do You Ever Think of Me?," and "Here in My Arms." Another early session covered the 1918 sheet-music hit, "Hindustan" by Seattle songsmiths Oliver G. Wallace (1887-1963) and Harold Weeks (1893-1967). 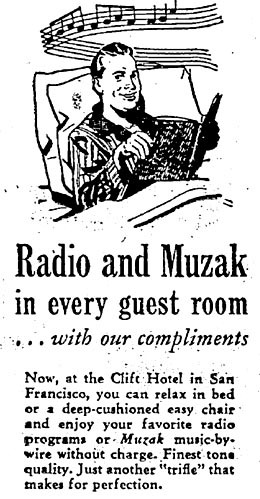 Before 1934 was over though, Muzak&apos;s leaders realized that there was no competing with free commercial radio, and they altered their business plan and began focusing on selling subscriptions to New York City-based restaurants and hotels -- two businesses that understandably preferred to not have broadcasted advertising and DJ blather distracting their patrons. But it was in 1936 that Muzak made its real breakthrough by steering its product into the new realm of factories and other worksites. 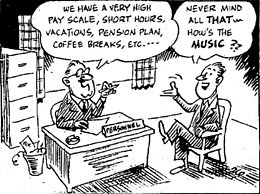 The company&apos;s notion that background music would motivate workers by encouraging greater rhythm to their tasks was soon supported by scientific studies, which seemed to establish that "functional music ... increased efficiency and reduced absenteeism" and noted "a direct correlation between the sound of music and higher productivity" ("Muzak," fundinguniverse.com). One Muzak-associated exec asserted to The Seattle Times: "Research demonstrates that music prolongs the alertness of workers, relieves mental fatigue resulting from monotony and boredom, alleviates worry and keeps the mind from dwelling on petty grievances" (Squire). In 1937 Muzak launched franchises in major metropolises, including Washington, D.C., Philadelphia, Boston, Detroit, and Los Angeles. Then, in 1938, Hollywood&apos;s Warner Brothers bought the company, only to sell it in 1939 to a trio of businessmen, one of whom, William Benton, had bought out his partners by 1941. Following U.S. entry into World War II in December of that year, the need for greater industrial efficiency soon saw thousands of factories and shipyards wired up for stimulation by Muzak. In the 1940s the company adopted a slogan -- "Muzak While You Work for Increased Efficiency" -- which is arguably better than another that they reportedly considered at a later date: "Boring work is made less boring by boring music" (Lanza, p. 155). But when reports claimed that production levels had increased by 11 percent at wired worksites, corporate America took notice. 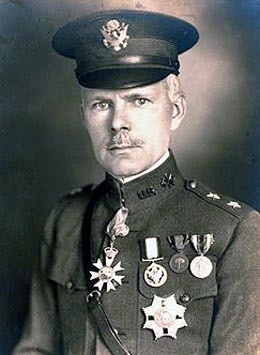 By war&apos;s end major companies, including Bell Telephone, McGraw-Hill Publishing, and Prudential Life Insurance, were subscribing. The "science" behind the Muzak theory apparently still needed tweaking, though, as occasionally songs were selected with unforeseen consequences. For example, when a version of Gene Autry&apos;s energetic hand-clap-driven 1942 hit "Deep In The Heart Of Texas" was piped in, "factory workers paused to clap hands too" (Fish). Such miscalculations aside, Muzak understood that a key factor was the product&apos;s essence of aural invisibility, with one company president later acknowledging, "Once people start listening they stop working" (Moore). Within a few short years Muzak was solidly established in many hundreds of American businesses. In Seattle, it was the Melody Co. Inc. (1337 4th Avenue) that served as the Northwest&apos;s regional distributor for Muzak. By 1946 the famous waterfront seafood restaurant, Ivar&apos;s Acres Of Clams (Pier 54), signed on and began boasting that they offered guests "leisurely dining" with &apos;"unobtrusive music" provided by "Muzak -- the best, naturally" (Ivar&apos;s). By 1947 Seattle&apos;s Tenney&apos;s Restaurant (W McGraw Street and 34th Avenue W) had added it, as had the Continental Café (7th Avenue and Bell Street), which advertised "quiet music by Muzak." By the mid-1950s, Muzak had over 250 subscribers in Tacoma and Seattle, including the new University Village shopping mall, which touted its "piped-in music ... selected for suitability for the time of day and the season" (The Seattle Times, 1958). In February 1957 the Melody Co. sold the franchise to Musicking, Inc. (a subsidiary of Seattle&apos;s King Broadcasting Co.). In February 1962, Musicking, Inc. sold it to the Business Music Co. (2008 Westlake Avenue), whose head, Jack Irvine, soon noted that "Muzak is music to be heard but not listened to" (Laurance). Muzak soon began investing considerable sums in "research to develop technological improvements and to scientifically refine the music itself" (Dunham). That research led to a system of analyzing selected songs and assigning each "a mood rating ranging from gloomy to ecstatic," among other rated aspects (Warren). 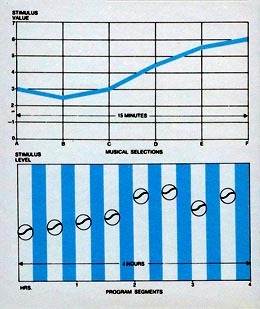 Then workers&apos; attention spans and biorhythms were factored in, and Muzak&apos;s engineers came up with a patented "process of programming music at faster tempos to counteract the tendency of the human mind and body to slow down during the late morning and mid-afternoon" ("Muzak," fundinguniverse.com). In other words, a theory of specially sequenced, instrumental background-music soundtracks that would come to be named "Stimulus Progression." The hypothesis, in essence, was that background music should be slightly more peppy at certain times "when workers&apos; productivity dips, thus stimulating listeners toward greater productivity" (Dunham). The song sequences would be grouped into "15-minute blocks of five or six tunes that ascend in mood rating. Those quarter-hour parts ... are scheduled to ascend during times of the day, such as 3 p.m. to 4 p.m., when workers are judged to be tired, and to drop at times (such as right after noon, to &apos;counteract the excitement&apos; of lunch)" (Warren). Ever after, this method -- intended to provide its captive audience with a subconscious sense of forward movement -- would remain a core concept at Muzak. "create[s] experiences that link customers with companies. Its power lies in its subtlety. It bypasses the resistance of the mind and targets the receptiveness of the heart. When people are made to feel good in, say, a store, they feel good about that store. They like it. Remember it. Go back to it" (muzakhudsonvalley.com). 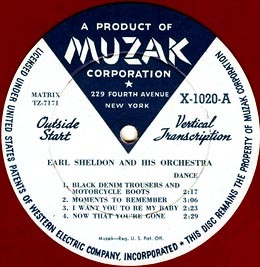 In 1953 Muzak acquired a magnetic-tape-playing system that soon allowed them to jettison its old phonographs and fragile records as the music source. It also led to an automated network that simplified everything to the extent that Muzak could now sell franchises for smaller towns. A few years later another technological leap -- abandoning the old telephone line system in favor of FM radio subcarriers -- brought Muzak massive growth; about 150 franchises inside and outside the USA were in place by 1957. That same year the firm was sold to the Wrather Corporation of Texas. Over the next decade and a half Wrather saw its product used everywhere from President Eisenhower&apos;s (1890-1969) White House to Neil Armstrong&apos;s (b. 1930) moon-bound Apollo 11 spaceship. Muzak built up a large library of what came to be called "Business Music." These were unique, custom-recorded tunes, cut by stables of professional studio musicians who were directed to purposefully shun any heavy bass lines or perceptible percussion. Though still providing its service of piped-in, canned music via wire, around 1969 Muzak began promoting its offerings to potential new clients with a series of vinyl Stimulus Progression albums that claimed to contain the "most popular new tunes and all-time favorite standards. All recorded in today&apos;s pleasant contemporary style" (More Than Music LP). These LPs bore titles such as Reveille, New Dimensions, The Sound Heard Round The World, and Caring For People. "Progressive companies care about their people. It&apos;s more than humanitarian, it&apos;s good business. People have pride. Most want to do a good job, to realize a sense of accomplishment. But even the best are subject to occasional combinations of fatigue, stress or boredom, which impede efficiency and productivity. The same is true for people who are shopping, traveling or dining. This is why so many businesses are installing Music by Muzak. 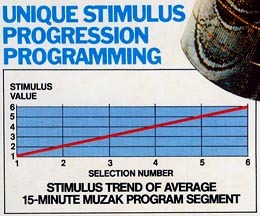 Muzak arranges, records and programs its own unique music –- featuring &apos;controlled stimulus&apos; in every quarter hour. No entertainment music. No radios or records. No blaring rock or distracting news and commercials. Muzak cares about people" (Liner notes, Caring for People). Fallout from Muzak&apos;s formula included the subsequent emergence of two new commercial phenomena: ultra-easy-listening records for sale and similar radio broadcasts. 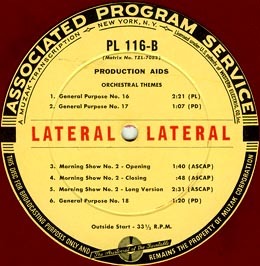 Many record companies began producing scads of LPs featuring syrupy orchestrated music performed by such nearly anonymous ensembles as the 101 Strings Orchestra, Fontana and his 1001 Strings Orchestra, the Melachrino Orchestra, and Mantovani&apos;s Orchestra. 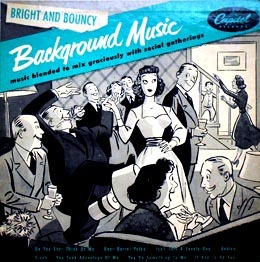 In the 1950s Capitol Records released a series of Background Music albums offering nervous middle-American party hosts failsafe "music blended to mix graciously with social gatherings" (Bright and Bouncy album). Then, as the epidemic spread, along came an entire radio format called "beautiful music." Pioneered by the Bonneville International company, it featured unique, custom-recorded, instrumental versions of pop standards that were broadcast on Bonneville&apos;s string of radio stations, including Seattle&apos;s KIRO. Although Muzak seemed to have the background-music market cornered, a couple of new Seattle companies -- Yesco Inc. and Audio Environments, Inc. (AEI) -- emerged in attempts to carve away at its dominance. Yesco was the brainchild of Mark Torrance, a fellow with music-biz experience doing lightshows for bands, including the Grateful Dead and the Jimi Hendrix Experience. 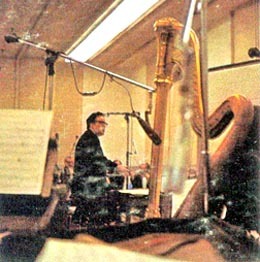 Torrance had taken notice that people were increasingly repelled by generic instrumental music and that plenty of modern-day soft-rock pop radio hits were mild enough that they didn&apos;t need to be rerecorded by Muzak studio bands in an effort to ensure that any harsh or challenging musical passages were eliminated in a new arrangement. In 1968 he began making "background music" at home from compilation tapes of such hits and providing them to the Nordstrom department store chain (initially for use in fashion shows). By the early 1970s this activity was formalized as The Yes Company (2301 24th Avenue NE), and later as The Yesco Company (915 Yale Avenue N). Yesco&apos;s "background music" service used "many of the same principles of non-aggressive engagement pioneered by" Muzak and was offered to "restaurants and offices, but still programmed according to Muzakian &apos;stimulus progression&apos;" (Humphrey). 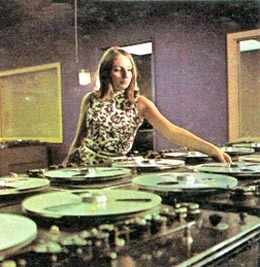 Unfortunately, Yesco had overlooked a critical factor: the firm had failed to attain permission from -- and pay various royalties and fees to -- music publishers, record labels, and the performing-rights organizations BMI and ASCAP for permission to utilize the copyrighted recordings that it had been employing. Indeed, there existed, at that point in time, no music industry protocol for such an arrangement. Thus, in 1974 Yesco was successfully sued by several aggrieved labels -- Asylum, Atlantic, Capitol, CBS, and 20th Century-Fox -- and shut down its operations. But then one of the "music execs sympathized with Torrance and helped write a licensing contract which became the industry standard" (Nissen). About a year and a half later the company reemerged, now selling fully licensed "background music." "more progressive restaurant and shop owners were playing rock &apos;n&apos; roll the way it was recorded. They got customers&apos; attention by playing the music they liked, rather than simply masking silence with background music" (AEI, fundinguniverse.com). 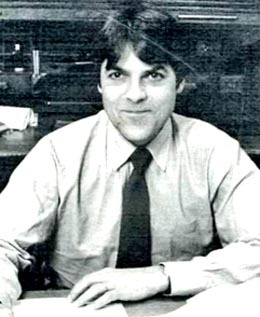 AEI&apos;s vice president, Jim Wolfe, had opened his Havaniceday Recording Co. (615 E Pike Street) back in 1969, and AEI joined him at that location. As late as 1974, AEI was still promoting "background music," but in time both Malone and Torrance would recast their service as "foreground music" and would update their names to, respectively: AEI Music Network Inc. and Yesco Foreground Music. In addition, yet another Seattle company, Kilroy Hughes&apos;s Environmental Music Services Inc. (4210 N Stone Way) eventually emerged and would provide its services well into the 1990s. In 1972 the Wrather Corporation sold Muzak to the Teleprompter Corporation, which later acquired a broadcast satellite and converted from FM transmission to beaming its signal to affiliates globally from a transmitter in Raleigh, North Carolina. Then, in 1981, Teleprompter sold Muzak -- which was now being listened to daily by an estimated 80 million people in 19 nations -- to the Westinghouse Electric Corporation (aka Group W Radio). Three years later Muzak hammered out a deal with Yesco in which Yesco would provide music it had licensed to Muzak&apos;s customer base. Then in 1985 Muzak made the big break from its past and launched its own original-artist program called "Foreground Music One." 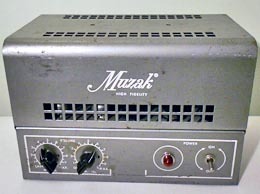 In 1986 the Chicago-based Field Corporation acquired Muzak. Later that same year, Muzak merged with Yesco, an interesting plot twist considering that the former had reportedly been angered way-back-when watching Yesco take over Nordstrom, its main and most-lucrative Northwest account. However, the older company&apos;s headquarters were moved to Seattle (915 Yale Avenue N), where Yesco&apos;s Mark Torrance began serving as president. From that point onward, the firm transformed itself by shunning what a Muzak vice president of programming and licensing once described as "that kind of old-style, 1,001-strings, ruin-your-favorite-song kind of thing," and focusing on foreground music ("Muzak," fundinguniverse.com). Yet, as The Seattle Timesreported: "In the past year, the recording approach has shifted so that producers are attempting to keep Muzak recordings as faithful to the originals as possible while removing harsher aspects" (Dunham). In the following years Muzak relocated its headquarters, and changed ownership a few times. The first move was to Seattle&apos;s Fremont neighborhood (400 N 34th Street) in 1989. Then in 1992 -- when it could boast 176 affiliates with 175,000 business clients in two dozen countries -- Muzak changed hands again when its management joined with Centre Partners to acquire the firm from the Field Corporation. In 1995 Muzak moved to downtown Seattle (2901 3rd Avenue, Suite 400) and in 2000 the whole operation relocated to South Carolina. 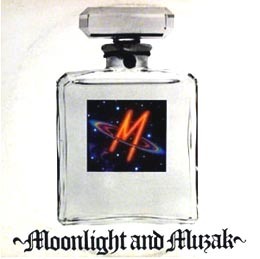 In 2009 Muzak Holdings LLC filed for bankruptcy protection, finally re-emerging through a restructuring process and then cutting a $345-million sales deal in March 2011 with Toronto&apos;s Mood Media Corp. Meanwhile, by the 1990s AEI (900 E Pine Street) could boast 260 affiliates serving 130,000 businesses in 50 countries, annual sales of about $90 million, and a daily listenership of 35 million that was then second only to MTV&apos;s audience. Indeed, for a time they were "the world&apos;s largest music service business" (AEI, fundinguniverse.com). Along the way, AEI merged with DMX of Texas, with Michael Malone serving as chairman. By 2001, when DMX was sold to Liberty Media, it could tout itself as "the world&apos;s leading multi-national music programming and distribution company" (hunterscapital.com). "Elevator music (besides just being good music) is essentially a distillation of the happiness that modern technology has promised. A world without elevator music would be much grimmer than its detractors ... could ever realize. This is because most of us, in our hearts, want a world tailored by Walt Disney&apos;s &apos;imagineers&apos; ... and where the music never stops." "is intended to function as a kind of aural Prozac, inducing a mood of passive contentment with one&apos;s immediate situation. A mood where one&apos;s critical faculties are overwritten by a pacifying effect via one&apos;s emotional receptors. The instinctive emotional responses are harnessed to the economic dictates of the marketplace, office and factory. A colonization of emotional responses, all the more totalitarian in its very inoffensive and unobtrusive nature" ("Muzak to My Ears — Canned Music and Class Struggle"). At least one contributor to an online discussion board would likely agree; his response to the open question "What is Muzak?" was: "It&apos;s the one thing that makes one ashamed to say one is from Seattle" (Mudcat.org). Among musicians themselves, very few have ever defended "muzak." But, it was mega-pop star Paul Simon who pointed out its use as a barometer of success, stating that his reason for appreciating "muzak" is that he knows he&apos;s got another big hit when he hears a blandified version of it at the supermarket. On the other hand, many other musicians have taken steps to combat it. Numerous artists -- including Joni Mitchell, Boz Scaggs, and Bruce Springsteen -- simply refused to license their songs to Muzak, as did the entire Windham Hill label. Avant-garde composer Philip Glass put the music in its place: "The range of [contemporary] music is truly enormous -- opera at top, Muzak at the bottom" (Moore). And in 1989 Ted Nugent famously offered to buy Muzak outright for $10-million, just so he could dismantle the company, which, he raged, "has been guilty of sucking the lifeblood from countless melodies since its founding" (anecdotage.com). "We danced all night and I lost all sense of time /To another damn tune I can&apos;t get out of my mind / Moonlight and Muzak tonight ... / I&apos;m sentimental but don&apos;t betray me /With all that incidental music you play." In 1981 Devo put out their first of two E-Z Listening Muzak cassettes, which featured new instrumental renditions of their earlier hits. 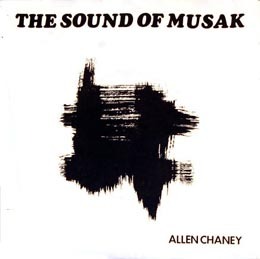 Then, in 1982, England&apos;s Allen Chaney produced a New Wave single "The Sound Of Musak." In 1987 the Space Negros released their album, The Space Negros Do Generic Ethnic Muzak Versions Of All Your Favorite Underground Punk/Psychedelic Songs from the Sixties. Around 1991 an entirely new use for "muzak" was pioneered. That year it was reported that various convenience stores in Southern California had begun blasting high-volume Muzak programming out into their parking lots in an effort to repel youthful chronic loiterers. The renamed Muzak Ltd. corporation was not offended in the least; its vice president of programming was quoted as saying that "Muzak is happy whether businesses uses its music to attract people into stores or drive them away" (Bates). It is deliciously ironic that in the years immediately prior to the massive global success of Seattle&apos;s hard-rockin&apos; grunge music scene (between approximately 1989 and 1995), the city&apos;s biggest musical export was "muzak." All the more so when one considers that several eventual ringleaders of the grunge movement actually made their livings by working for Yesco and/or Muzak. Among them are such musicians as Mark Arm (Mudhoney&apos;s guitarist/singer), Tad Doyle (TAD&apos;s guitarist/singer), Ron Rudzitis (Love Battery&apos;s guitarist/singer), Tom Mick (Feast&apos;s singer), Grant Eckman (Walkabouts&apos; drummer), Amy Denio (multi-instrumentalist with the Entropics), and even Bruce Pavitt and Jon Poneman, the co-founders of Sub Pop, the Grunge Era&apos;s dominant record label. Needless to say, none of these scruffy rockers were allowed to actually program song selections and instead had jobs in the warehouse, the tape-duplication department, or the company offices. Interestingly, Rosie Torrance -- a daughter of Yesco founder Mark Torrance -- found work as a receptionist with Sub Pop. 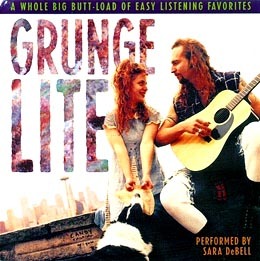 It was after Grunge had swept the world that another Seattle musician, Sara DeBell, produced her 1996 Grunge Lite CD, which featured what The Seattle Times described as "elevatorized versions" of some of the local scene&apos;s heaviest hits. Among those targeted for her humorous treatment were Nirvana&apos;s "Smells Like Teen Spirit," Alice In Chains&apos; "Them Bones," Mudhoney&apos;s "Touch Me I&apos;m Sick," Soundgarden&apos;s "Rusty Cage," and Pearl Jam&apos;s "Even Flow." Taking things to the logical extreme, DeBell then approached Muzak to gauge possible interest in licensing her renditions for their purposes. The level of interest was zero; as she later informed the newspaper: "They told me: &apos;We never did this kind of thing. It&apos;s much too square&apos;" (Dunham). That assertion may be questionable, but one thing is certain: General "Squier&apos;s gift to the world was Muzak, a commercial product that irritated some, soothed others, and reigned for generations as a household name" ("Muzak Inc.," fundinguniverse.com). Muzak Corp 16-inch vinyl disc, n.d.
George Owen Squier (1865-1934), Muzak founder, n.d.
Recording session, Muzak Records, n.d.
Muzak&apos;s scientific-looking "Stimulus Progression" chart, n.d.
Sources: "George Owen Squier," Arlington National Cemetery website accessed on March 9, 2012 (http://www.arlingtoncemetery.net/gosquier.htm); Clark Squire, "Making Jobs Easier With Music: &apos;Piped-in&apos; Melodies Give Workers and Shoppers Daily &apos;Lift&apos; in Many Seattle and Tacoma Establishments," The Seattle Daily Times, February 20, 1955, p. 114; Ivar&apos;s Acres Of Clams, display ad, The Seattle Times, July 17, 1946, p. 13; Tenney&apos;s Restaurant, display ad, The Seattle Times January 25, 1947, p. 5; Continental Café, display ad, Ibid., November 14, 1947, p. 26; Byron Fish, "Psychology Plays Big Role in Background Music for Workers," Ibid., June 19, 1956, p. 15; "University Village Expands as Trade Demands Increase," Ibid., October 26, 1958, p. 75; "Muzak Franchise Is Purchased," Ibid.,February 7, 1959, p. 19; Erwin Laurance, "Muzak Music Helps Restore Tired Nerves," Ibid., May 6, 1962, p. 140; Sheila Anne Feeney, "Commercial Music Is Gaining Ground: It Has Moved from &apos;Back&apos; to &apos;Fore,&apos;" Ibid., June 12, 1981, p. 27; James Warren, "There&apos;s More to Muzak Than Meets the Ear," Orlando Sentinal, December 29, 1989, (http://articles.orlandosentinel.com/1989-12-29/lifestyle/8912282569_1_muzak-mood-rating-university-of-wisconsin); "Muzak Inc. -- Company History," fundinguniverse.com website accessed on March 5, 2012 (http://www.fundinguniverse.com/company-histories/Muzak-Inc-Company-History.html); "AEI Music Network Inc. -- Company History," fundinguniverse.com website accessed on March 5, 2012 (http://www.fundinguniverse.com/company-histories/AEI-Music-Network-Inc-Company-History.html); Caring For People, LP liner notes, Muzak Records (No. H4RS-0004), 1974; More Than Music. An Environment, LP, Muzak Records, [AA 1-81] no date; Richard Sandomir, "Will Moving to Seattle Take Muzak Out of the Elevator?," Newsday, January 8, 1987, p. 45; "Merger May Bring Muzak Out of the Elevator," The Pittsburg Press, January 8, 1987, p. B-10; Brian Chin, "Sound of Muzak Extends Far Beyond Your Elevator," Puget Sound Business Journal, June 24, 1991, p. 32; CarrieBorzillo, "Many Sides of Muzak Elevate Seattle Co. to New Status," Billboard, February 20, 1993, p. 1; Elisabeth Dunham, "Modern-Day Muzak Features &apos;Foreground&apos; Tunes -- Seattle&apos;s Leading In Musical Exports Of All Kinds," The Seattle Times, December 26, 1993 (http://community.seattletimes.nwsource.com) ; Kay Kusumoto, "Stranger In Its Homeland -- Muzak Is Aiming For Local Presence In Supermarkets," Ibid.,June 9, 1993 (http://community.seattletimes.nwsource.com); Clark Humphrey, "The Hum Of Life -- &apos;Elevator Music&apos; Boldly Salutes That Sound You Hear," The Seattle Times, April 3, 1994 (http://community.seattletimes.nwsource.com); "Muzak Considering A Move From Seattle To N. Carolina," The Seattle Times, June 19, 1999 (http://community.seattletimes.nwsource.com); Leslie Ritter, "Gerry Swallow Column -- A Lot Of Half-Truths About Product Called Muzak," letter to the editor, Ibid., July 6, 1997 (http://community.seattletimes.nwsource. com); "What Is Muzak?," Mudcat Café website accessed on March 7, 2012 (http://mudcat.org/thread.cfm?threadid=48555); Stephen Thomas Erlewine, Grunge Lite, CD review, allmusic.com website accessed on March 7, 2012 (http://www.allmusic.com/album/grunge-lite-r238075); James Bates, "Muzak to the Ears," December 16, 1991 Los Angeles Times website accessed on March 11, 2012 (http://articles.latimes.com); "Muzak to My Ears -- Canned Music and Class Struggle," libcom.org website accessed on March 7, 2012 (http://libcom.org/library/muzak-my-ears-canned-music-class-struggle); "Meet The Team," Hunters Capital LLC website accessed on March 9, 2012 (http://www.hunterscapital.com/mmalone.html); L. Swain, Sub Pop blog, Sub Pop website accessed on March 9, 2012 (http://www.subpop.com/channel/blog/rosie_torrance_knows_my_name); "Audio Architecture," Muzak website accessed on March 9, 2012 (http://www.muzakhudsonvalley.com/AboutUs.aspx); Joseph Lanza, Elevator Music: A Surreal History of Muzak, Easy-Listening, and Other Moodsong (Ann Arbor: University of Michigan Press, 1994), 155, 159-160, 333; Herbert Moore "Meters for Muzak," American Philatelist magazine, December 2000, pp. 1114-1115, 1116-1118; Yesco Notes, newsletter, Spring 1984, Dean Nissen Collection; Dean Nissen, Yesco Service Technician, emails to Peter Blecha, March 14 and March 30, 2012, in possession of Peter Blecha, Seattle, Washington.